New 2017 Renegade Motor Coach. At Capitol Custom Coaches. 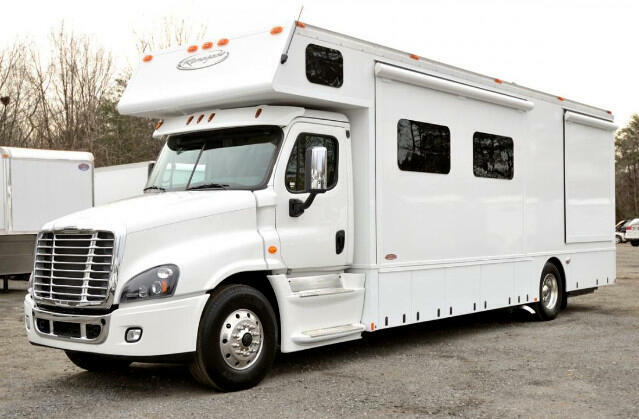 If you are looking for Power, Comfort, Maneuverability, and Towing Capability, we have the perfect coach for you. Built on a Cascadia Cab at 550 hp / 1850 torq / 13 speed fully automatic transmission, gives you all the power and towing capacity needed to keep you in the left lane. 26' of living space with 2 slides. This Coach is a great set up. Effortless to drive, maneuverable, great power, and lots of room in 26' of living space. Message: Thought you might be interested in this 2017 Renegade Motorcoach.